Johannes Gehrke is a Professor in the Department of Computer Science at Cornell University. Johannes’ research interests are in the areas of database systems, data mining, and data privacy. Johannes has received a National Science Foundation Career Award, an Arthur P. Sloan Fellowship, an IBM Faculty Award, the Cornell College of Engineering James and Mary Tien Excellence in Teaching Award, the Cornell University Provost’s Award for Distinguished Scholarship, a Faculty Development Award from the New York State Foundation for Science, Technology, and Innovation, and a Humboldt Research Award from the Alexander von Humboldt Foundation. With Raghu Ramakrishnan, he co-authored the undergraduate textbook Database Management Systems (McGrawHill (2002), currently in its third edition), used at universities all over the world. 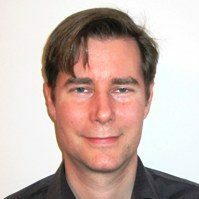 Johannes is also an Adjunct Faculty Member at the University of Tromsø in Norway, and he is a visiting researcher at the Max Planck Institute for Software Systems. Johannes was co-Chair of the 2003 ACM SIGKDD Cup, Program co-Chair of the 2004 ACM International Conference on Knowledge Discovery and Data Mining (KDD 2004), Program Chair of the 33rd International Conference on Very Large Data Bases (VLDB 2007), and he will be Program Co-Chair of the 2012 IEEE International Conference on Data Engineering. From 2007 to 2008, he was Chief Scientist at FAST, A Microsoft Subsidiary.